Expired 5mo ago . Last validated 6mo ago . Used 6 times. 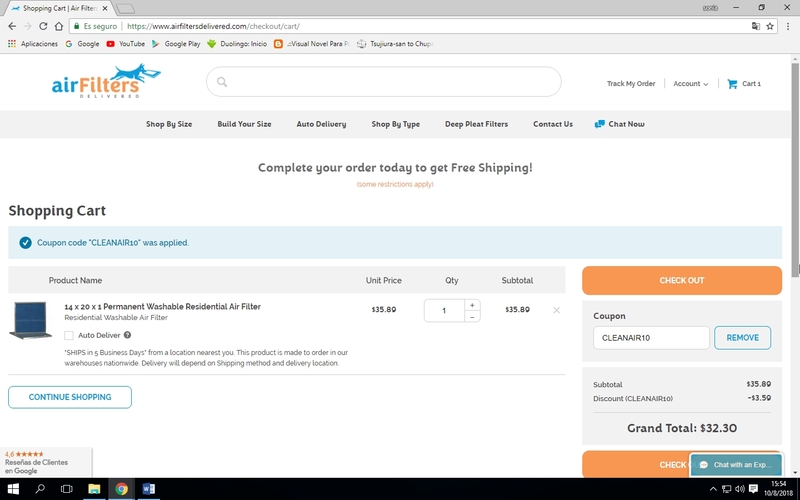 Adrian Alberto Get 10% off your order. 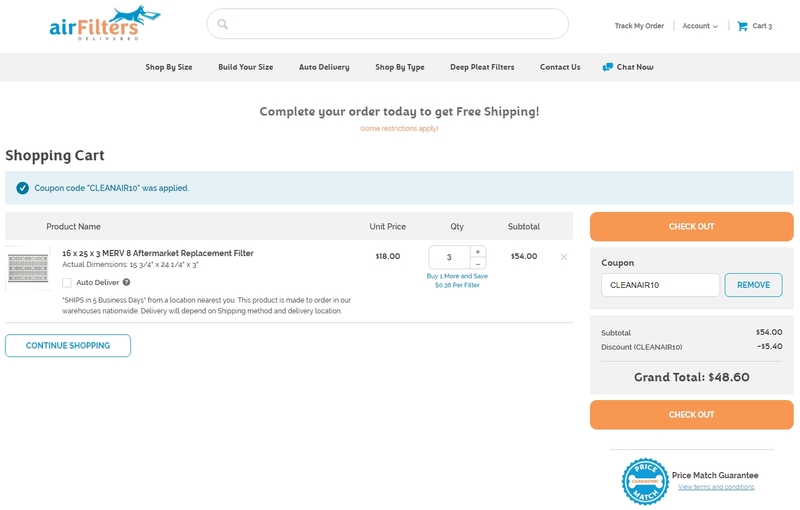 Use the coupon code CLEANAIR10 to claim your discount. Exclusions may apply to this offer. Sonia Ramirez 10% off your order. 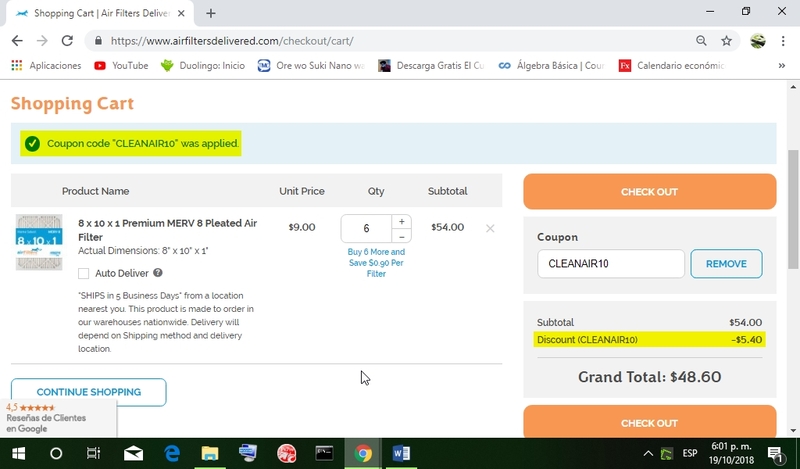 Use the coupon code CLEANAIR10 to claim your discount. Exclusions may apply to this offer. Katerin Torres I have reactivated this offer. It still works as described. 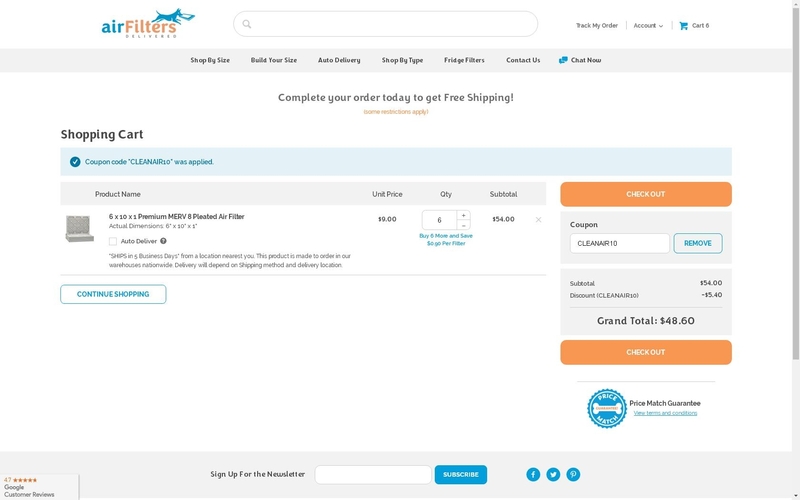 Use the promotion code during the purchase to receive the discount. Cold Can This coupon is active and works as described, you simply have to enter the code in the box to apply the discount. TIFFANY MARIA BOET GONZALEZ This is a valid deal. 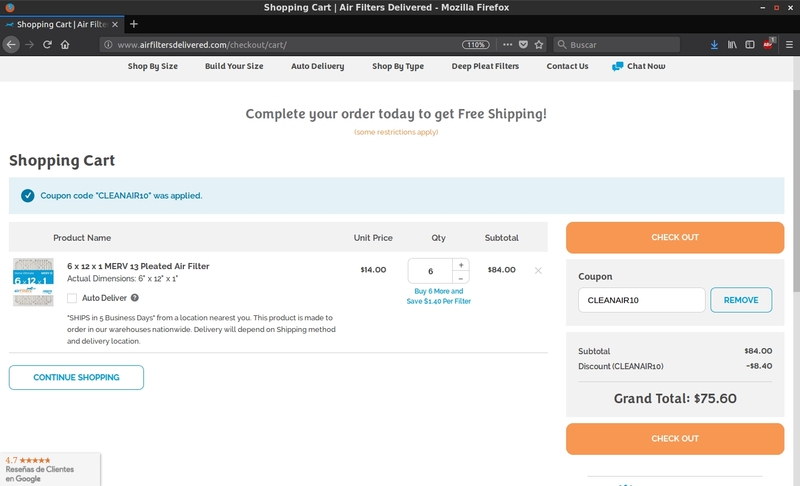 Type promo code in the promo code box to get 10% off any order at Air Filters Delivered.